Dr. Suzuki has received consistently high acclaim for his thirty years of award-winning work in broadcasting. In 1974 he developed and hosted the long running popular science program Quirks and Quarks on CBC Radio for four years. He has since presented two influential documentary CBC radio series on the environment,It's a Matter of Survival and From Naked Ape to Superspecies. His national television career began with CBC in 1971 when he wrote and hosted Suzuki on Science. 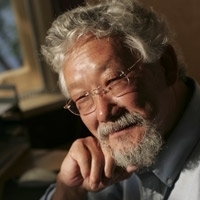 He was host of Science Magazine (1974 – 79) then created and hosted a number of television specials, and in 1979 became the host of the award-winning series, The Nature of Things with David Suzuki. He has won four Gemini Awards as best host of different Canadian television series. His eight part television series,A Planet for the Taking, won an award from the United Nations. His eight partBBC/PBS series, The Secret of Life, was praised internationally, as was his five part series The Brain for the Discovery Channel. On June 10, 2002 he received the John Drainie Award for broadcasting excellence. 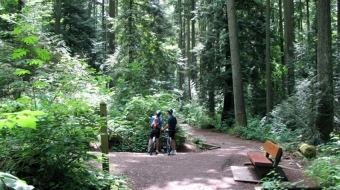 Dr. Suzuki is also recognized as a world leader in sustainable ecology. He is the recipient of UNESCO's Kalinga Prize for Science, the United Nations Environment Program Medal, UNEPs Global 500 and in 2009 won the Right Livelihood Award that is considered the Alternative Nobel Prize. For a more complete list of David's professional accomplishments and awards, please refer to his full CV here (31.5Kb PDF). To read some of Dr. Suzuki's latest writings, please visit the Science Matters Archive. Each week in Science Matters, Dr. Suzuki examines how changes in science and technology affect our lives and the world around us. You can also take a look at his book list with Greystone books.